Want to attract more business in the New Year? Yes? How’s your website looking? Will your site help or hinder your business growth? For most people, the first point of contact is Google. Have you tried a web search on your business name? What does your digital footprint say about your business? What do your potential customers find when they land on your website? Perception is reality, until proven otherwise. How do your prospective customers perceive you? Did you know, that up to 75% of a new customer’s buying decision is already made by the time you speak with them or meet them? Their position is based on their perception of you which comes from the information about you online and what they know about your brand. The content on your website has the power to either engage the reader and influence them to do business with you. Alternatively, it can make your competitors look good! The good news is, it’s your website, so you have the power to change and update the information and the way your brand is portrayed. When people land on your site, they’re usually seeking specific information, such as an answer to their problem or they simply want to know more about you. Make it easy for readers to find the information and ensure it’s clear and concise – we’re all busy and it’s so easy to click away from boring content. For the majority of businesses, the days of stuffy, jargon-filled website content are long gone. Portraying your authentic brand and showcasing the way you do business goes a long way towards making your brand stand out. We all prefer to do business with people we know, like and trust. Ensure your website helps readers to know, like and trust YOU. Offer the opportunity for readers to engage with you by joining your email list or interacting on social media. It’s best to offer more than one option to get more engagement. If someone is looking for a particular skill, they need to feel assured that you’re great at what you do. Just some of the ways you can demonstrate your skill are: show samples of your work, photos, video, before/after shots, case studies and blog posts. Posting regularly is important, whether that is daily, weekly or fortnightly. Make it regular so your readers know what to expect and when to expect to see it. Posting regularly also creates a perception that you’re reliable and you actually turn up when you say you will. Website content and regular blog posts on specific topics can help to cement your position as an expert in your field. We like to deal with those who know what they’re talking about. Share useful information that your readers can put into practice. People love getting something for free. Remember, you’re building trust so that they will be ready and willing to buy in the future. This is an important step to attract more business. A lot of websites assume the reader already has an in-depth knowledge of the products and services on offer. It’s always best to provide at least the key features and benefits – this is your sales spiel. Providing this information, expressed in a convincing tone, could easily sway the buyer in your favour. Ask yourself: What would I say to the reader if I were face-to-face with them? Your website is an ideal way to introduce yourself and offer your readers an insight into your business. It takes time to build a relationship, but if you treat visitors well and provide them with quality information, you do build rapport and establish trust. You can use your website to demonstrate your competitive advantage. What makes you different to your competitors? 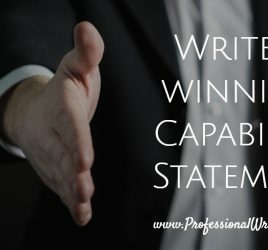 Of course, you don’t want to sound boastful about your own accomplishments or negative about your competitors, but it’s important to outline your strengths too. 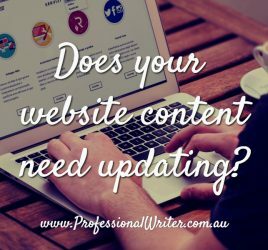 Updating your website content or setting a regular blog posting schedule can definitely enhance the way your business is portrayed in your potential customer’s eyes. If you’re looking to attract more business in 2017, now is the time to review and update your website. Should you need assistance with writing fresh content or regular blog posts for your site, please feel free to contact me for a chat. Hi, I’m Lyndall Guinery-Smith, The Professional Writer. 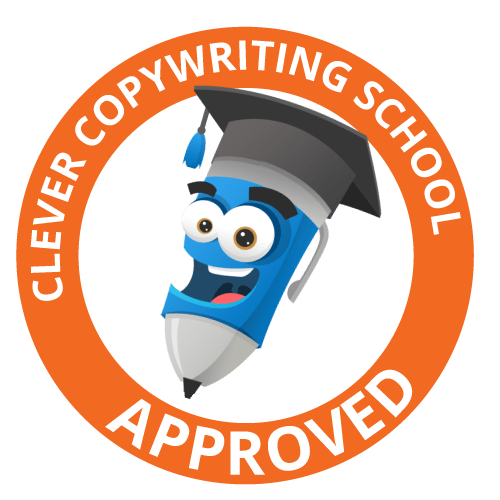 I write copy dedicated to attracting and engaging your customers – and improving your bottom line. I happily work with clients all around Australia. Email me to arrange an obligation-free discussion about your latest project. Or if you’d like to learn how to connect with your audience and build your business, why not input your email address and receive my regular marketing updates in your mailbox? 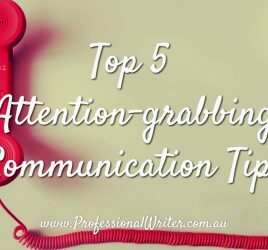 You can sign up for our mailing list at the base of the Home Page on www.ProfessionalWriter.com.au.